Media inquiries can be directed to Southwestern's Public Affairs Office. Or media may contact members of Southwestern's faculty directly via the Media Guide. The members of Southwestern's faculty have outstanding academic credentials and rich backgrounds in both law practice and teaching. They include many nationally recognized legal experts and are highly regarded for their publications, scholarly research, and involvement in the legal community. As indicated in our Media Guide, Southwestern faculty members are available to comment on a wide range of legal issues in the news. The Guide is arranged alphabetically by topic with links to the profiles and contact information for the appropriate professors. 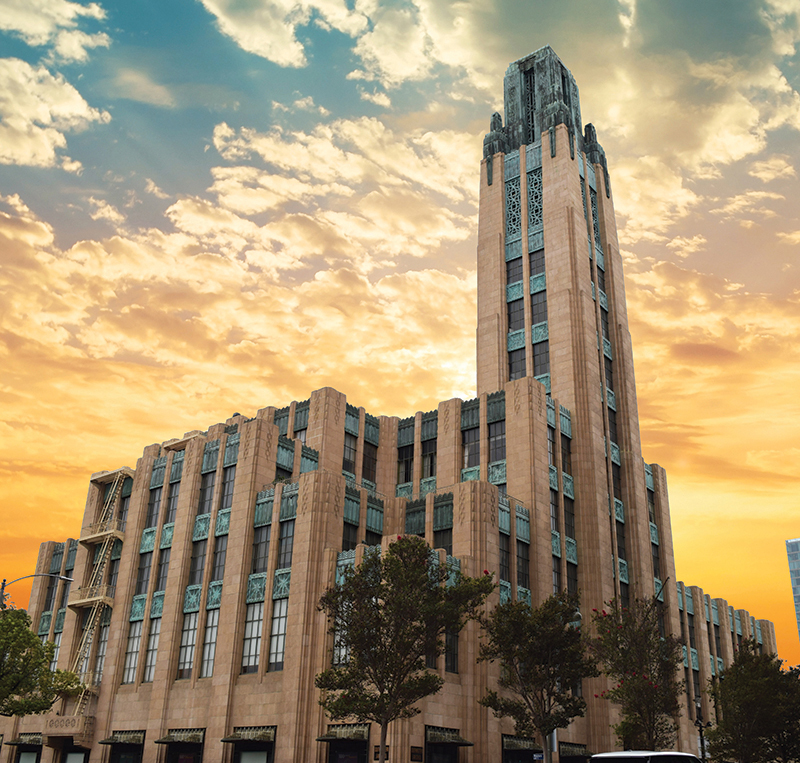 Private tours of Southwestern's campus, including the 1929 Art-Deco Bullocks Wilshire Building, are available to members of the media. Contact the Public Affairs Office to make arrangements. Contact the Public Affairs Office to arrange on-camera interviews of individual faculty members, administrators, or students while on campus. Off-campus filming may be coordinated directly with the faculty/staff member or student. Commercial photography and filming arrangements are coordinated through a locations manager, Unreel Locations. In order to expedite requests, direct all inquiries to the Administrative Services Office at filming@swlaw.edu or Unreel Locations at unreelsite@aol.com or (323) 953-6189. Southwestern can only accommodate non-commercial requests as scheduling allows.